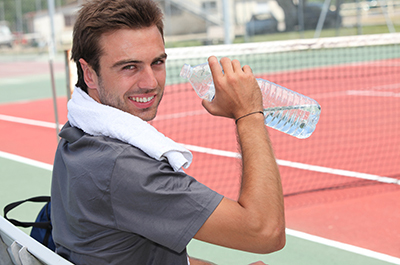 We have a range of adult programs to suit any player. Whether you are looking to improve your style, get a great workout, or just have some casual fun with friends we have got you covered. A great way to improve your style and take your game to the next level. Many players use clinics to improve their competition play. Cardio Tennis is the high intensity workout that will make your week. Pumping music, energetic activities, feel the burn! At it’s heart, tennis is a social game. So if you want to keep it fun and casual then our social tennis options are perfect for you. The Adult Clinic is best for those looking to improve their technique and tactics. Cardio tennis is meant for those looking to keep the heart rate up and have an exhilarating workout. 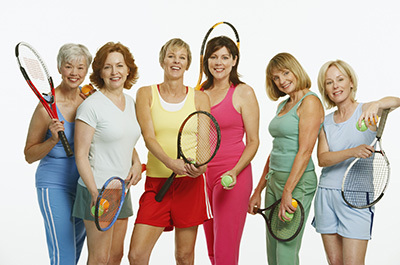 Social tennis is best for those looking to have fun and casual sets of tennis and meet new friends. If you aren’t sure which program to join please give us a call so we can work with you to understand your goals. Then we can find the right program for you. Simply click on the “Book Now” button below the class of your choice. This will allow you to register for a term of that particular class.